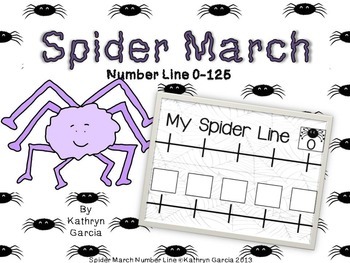 Spider March: Number Line provides fun with a 'Spider' Theme while practicing number order. This product is all in black and white for easy printing. Fun as a large group activity, or as an individual cut and paste. Simple to use.....just print on paper and cut apart. 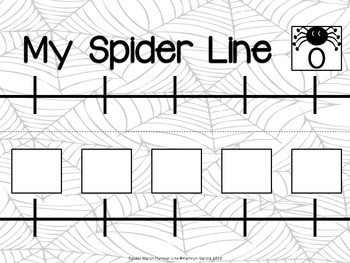 Glue spiders in number order on the number line. *Cut the numbers in strips and create a 100s chart. *Cut the numbers apart and use to practice < and >. 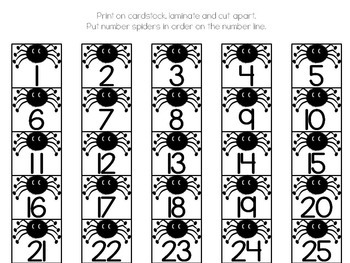 *Use the numbers to practices making tens and ones. 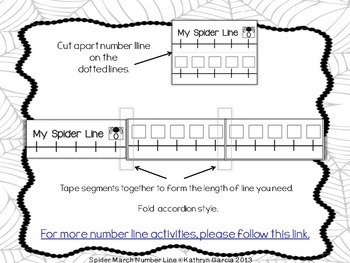 *Divide the class into groups to make a part of the number line or 100s chart. Then come together to put together. I would love for you to click here to FOLLOW ME so you will hear all about sales, updates and new products. CLICK HERE TO SEE MORE MATH PRODUCTS IN MY STORE.